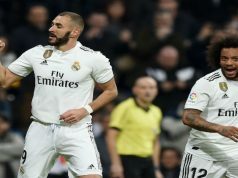 Real Madrid qualified for the last-16 round of the Champions League with an unusual 1-0 victory against Liverpool, thanks to a goal by Karim Benzema. Carlo Ancelotti men had enough chances to delight the Santiago Bernabeu fans with another goal fest, but goalkeeper Simon Mignolet had a perfect night, conceding only one goal from 27 shots. 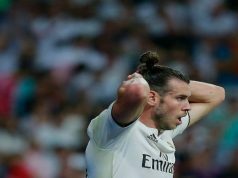 Los Blancos struggled at the start. Isco was not inspired, and the attacking players in general were not creating much in the final third. The first minutes were encouraging for Liverpool, as the Reds saw they could be able to contain their rival’s attack. 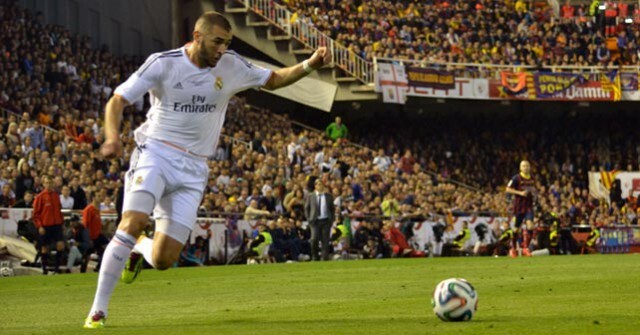 Yet, Karim Benzema destroyed the visitor’s hopes in the 27th minute, following a nice play from Los Merengues. Isco passed the ball to Marcelo on the left and the Brazilian sent a perfect low cross for Benzema. The Frenchman got away from the defenders at the back post and fired into the back of the net. The goal was a relief for the Santiago Bernabeu fans, and it helped the hosts put the pressure aside and start threatening Mignolet. The keeper was very busy, but he didn’t make a single mistake. The Belgium international made a brilliant stop to deny Cristiano Ronaldo when the fans were already celebrating the 2-0. Minutes later he saved a Marcelo shot following a great play from CR7. The Portuguese was denied again by the Mignolet at the start of the second half. With their goalkeeper putting in such a brilliant performance, Liverpool gained confidence and they tested Iker Casillas a couple of times, but it was relatively simple for the Spaniard to keep a clean sheet. On the other end, Mignolet kept working hard and also saw how Marcelo hit the bar in one of Los Merengues best chances to double their lead. Carlo Ancelotti men wouldn’t score any more goals, but the unusual 1-0 was enough to seal their ticket for the next round of the competition. Journalist and digital marketing specialist, has worked for prestigious Spanish newspapers such as ABC.es, Gaceta.es and LaSemana.es. Passionate about a number of sports, he's written a sports blog in Spanish since 2008, Paginasdeportivas.net. Real Madrid fan since he was born and also an avid fan of of his hometown's club, Ponferradina.